Are you getting married? Are you a teacher? We are running a special promotion for the Month of August! 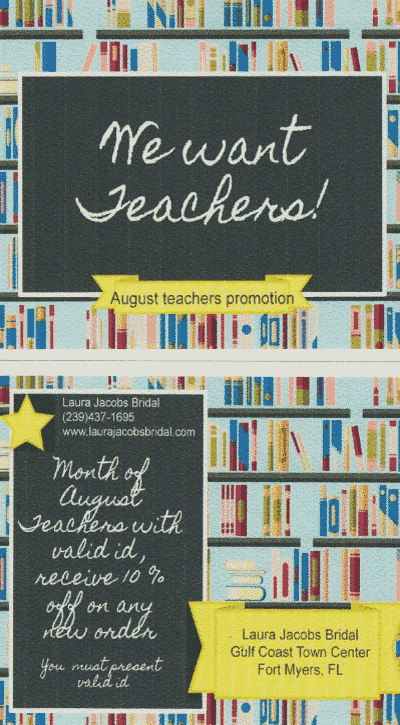 Teachers with valid ID receive 10% off on any new order.